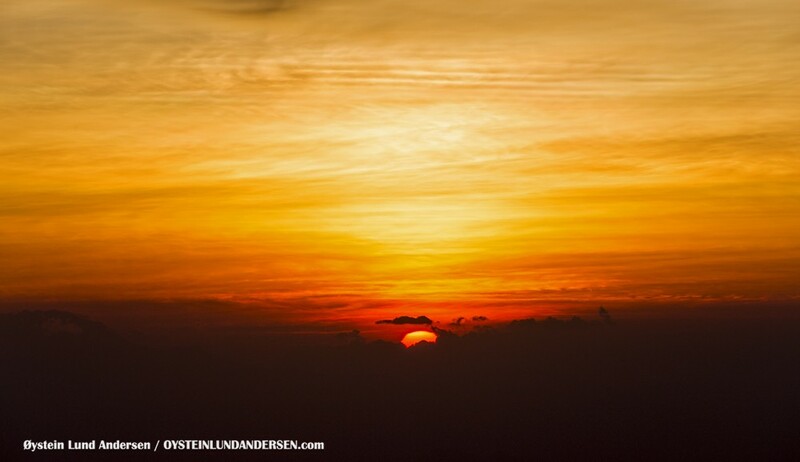 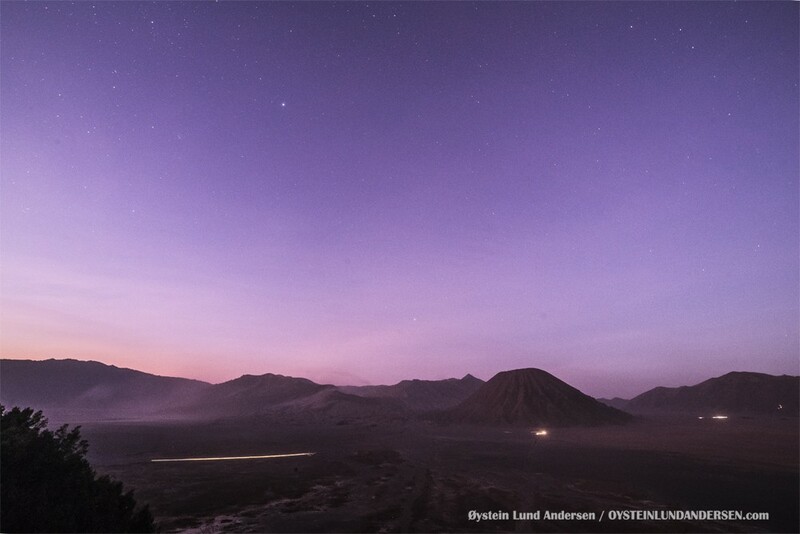 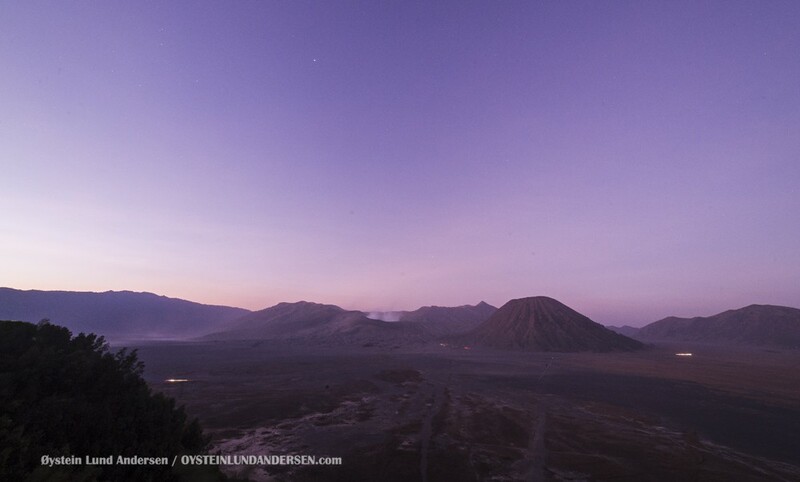 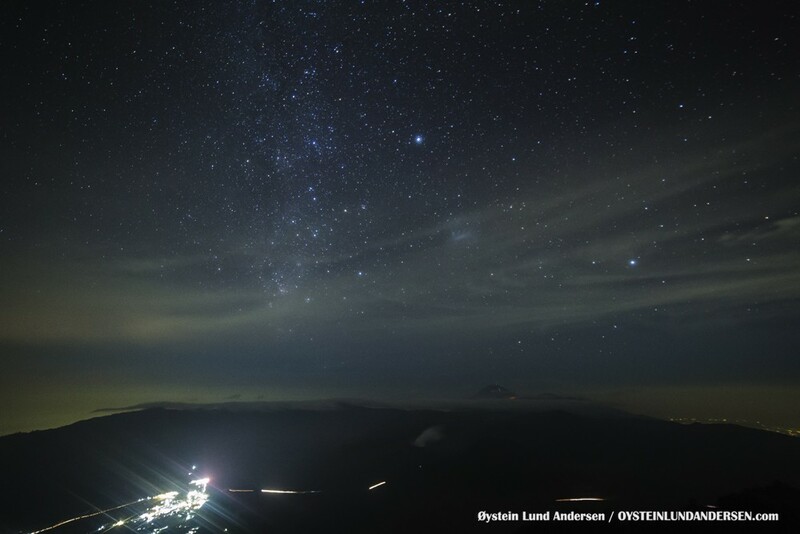 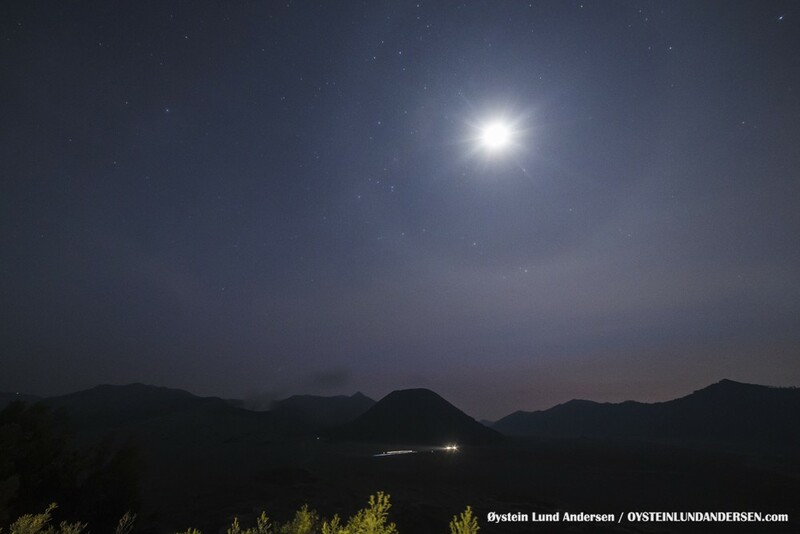 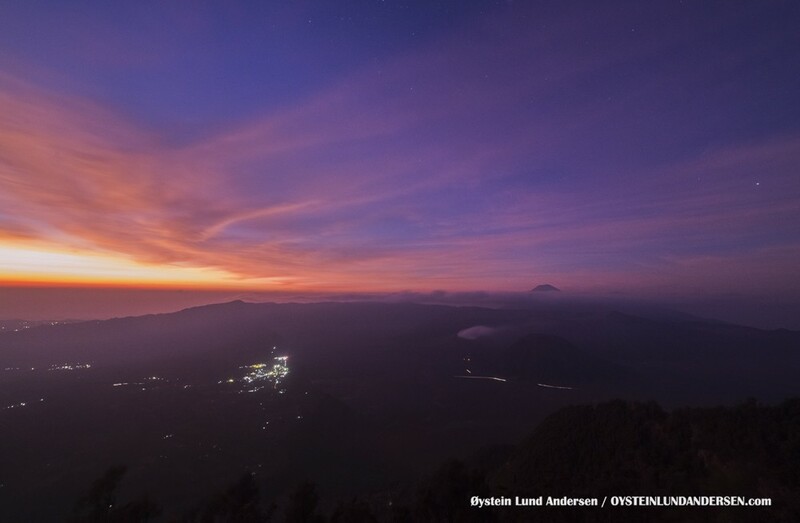 Visited Bromo again on the 18th-20th October, mainly to observe the yearly peak of the Orionid Meteor Shower. 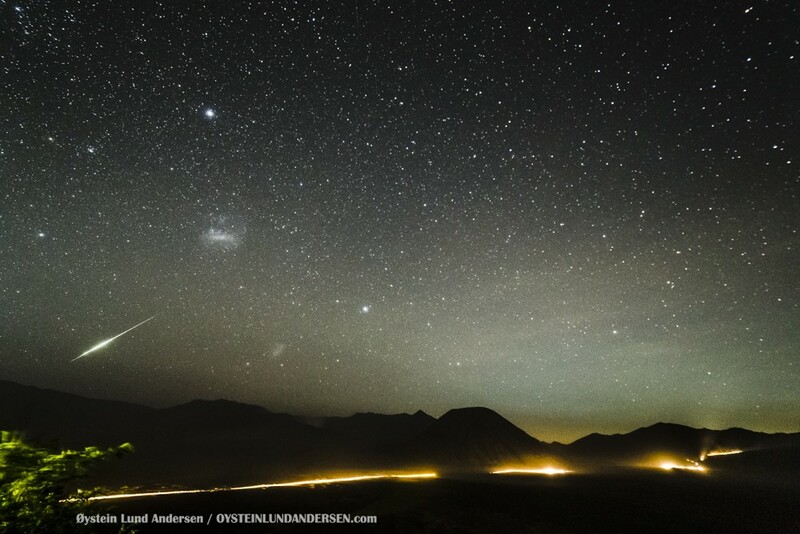 However not many large and long-living meteors was observed. 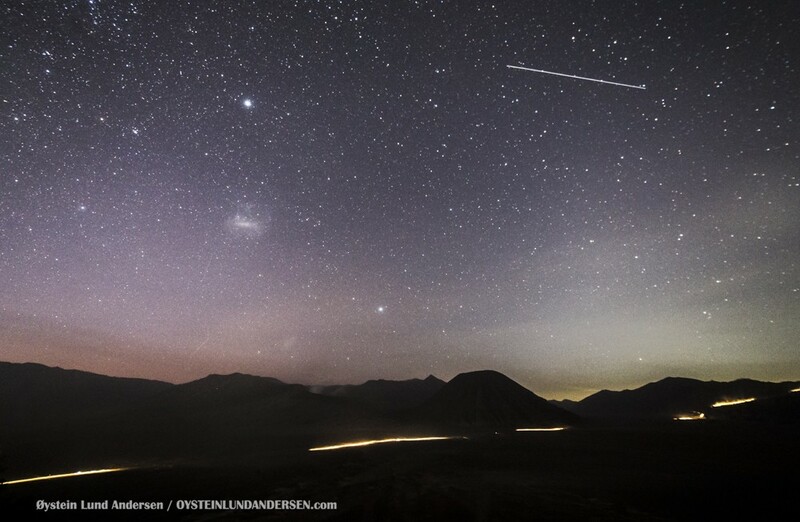 Only one bright one that lasted 1-2 sec. 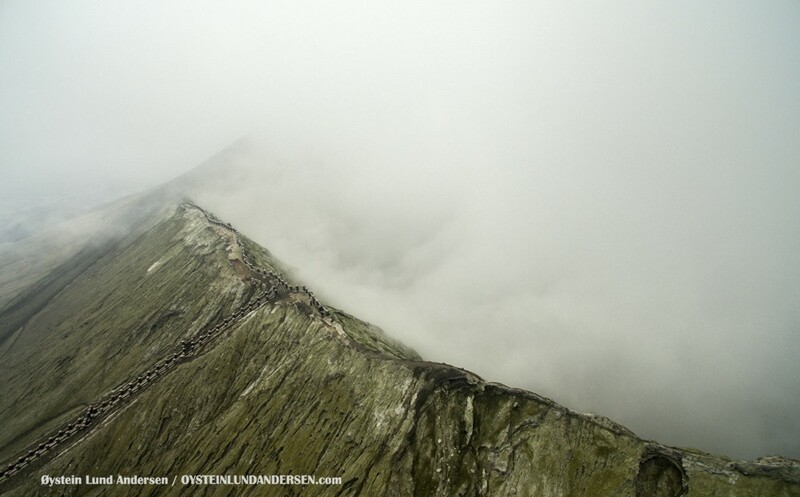 Photo is below. 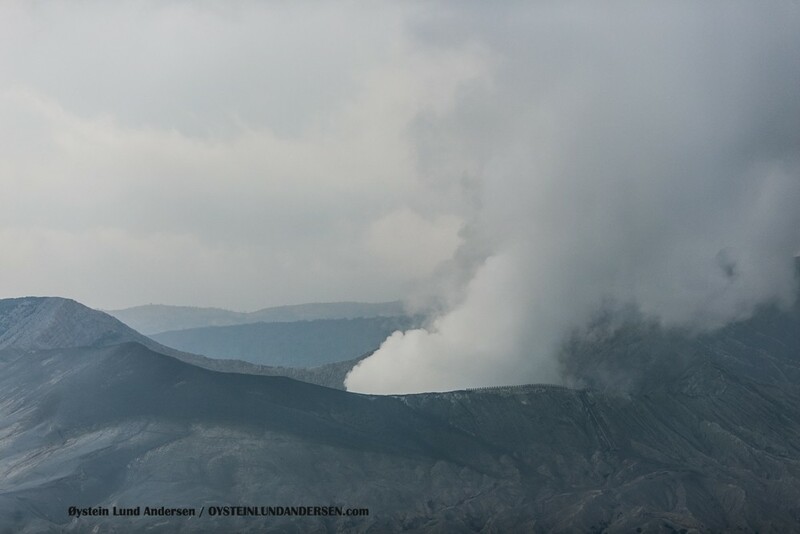 This was my 5th visit this year. 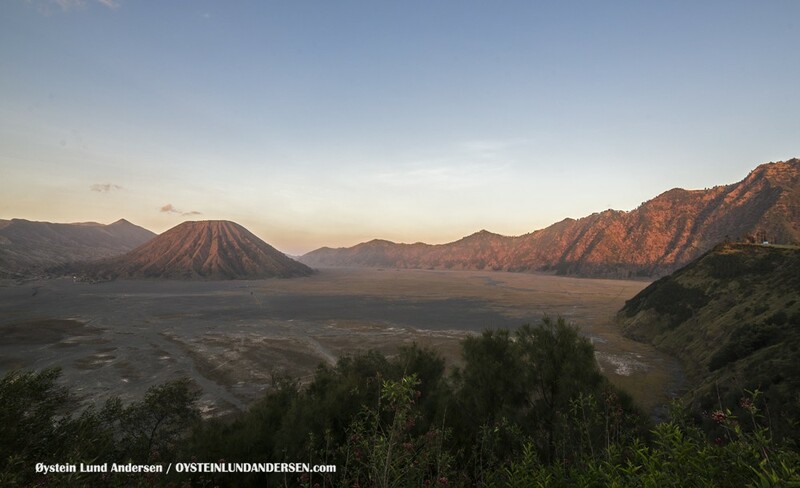 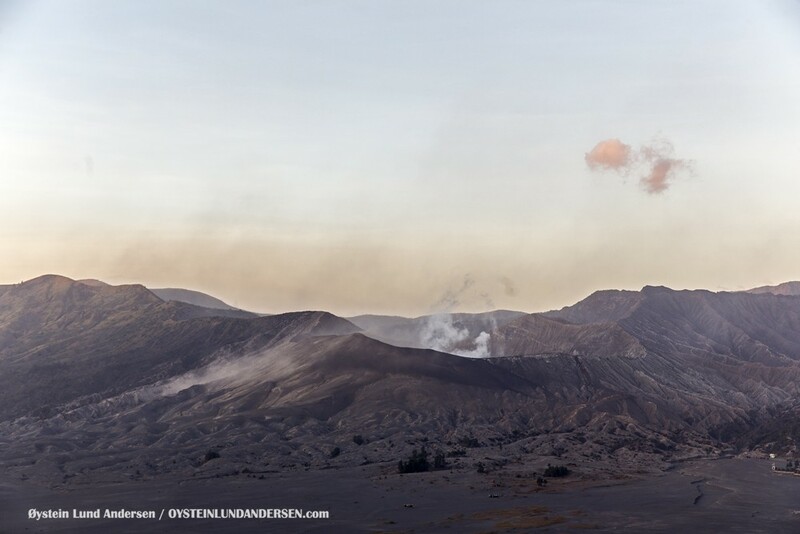 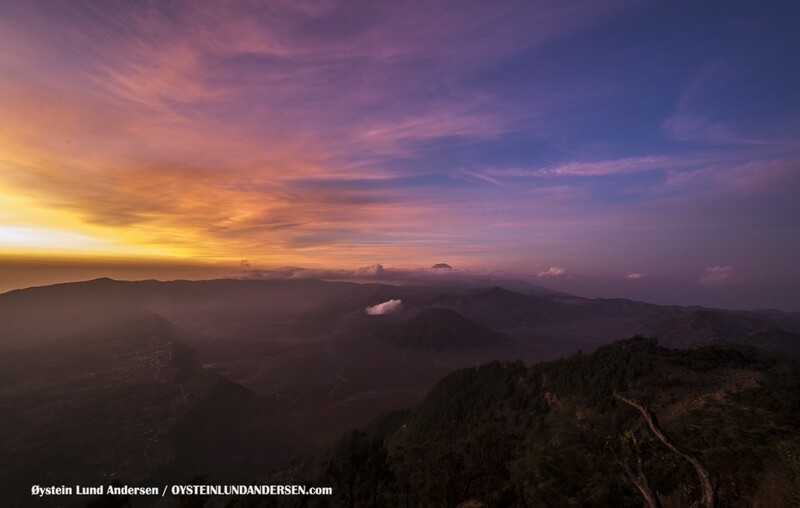 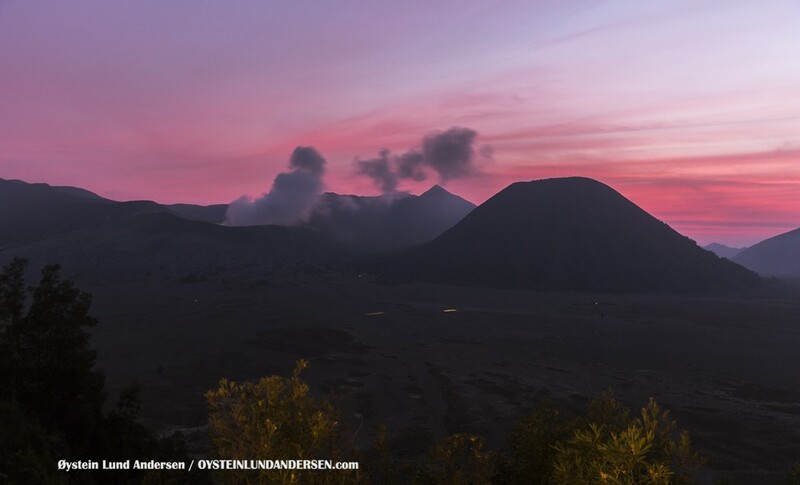 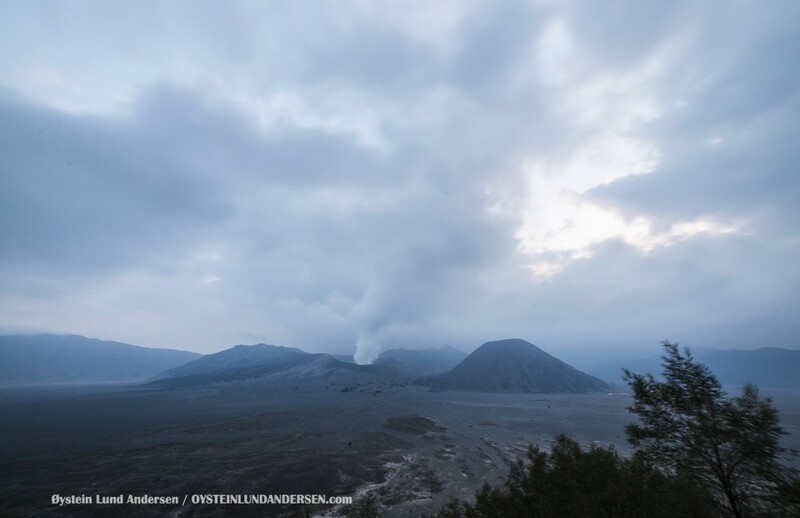 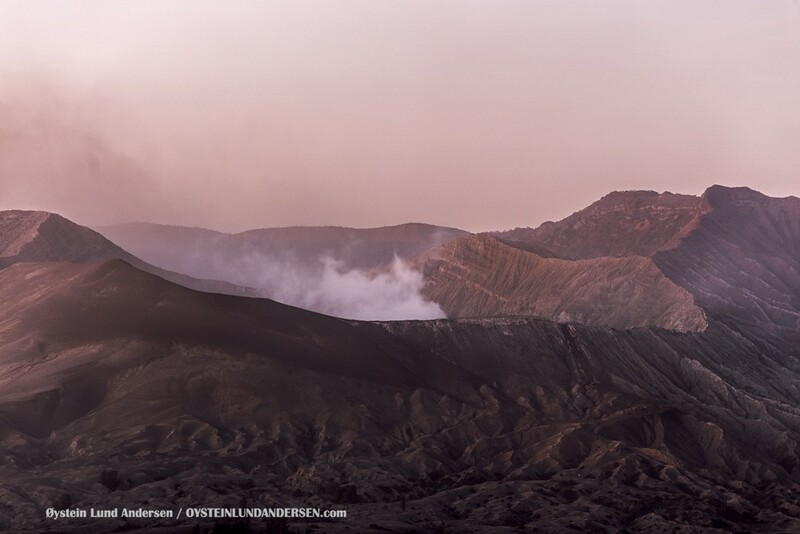 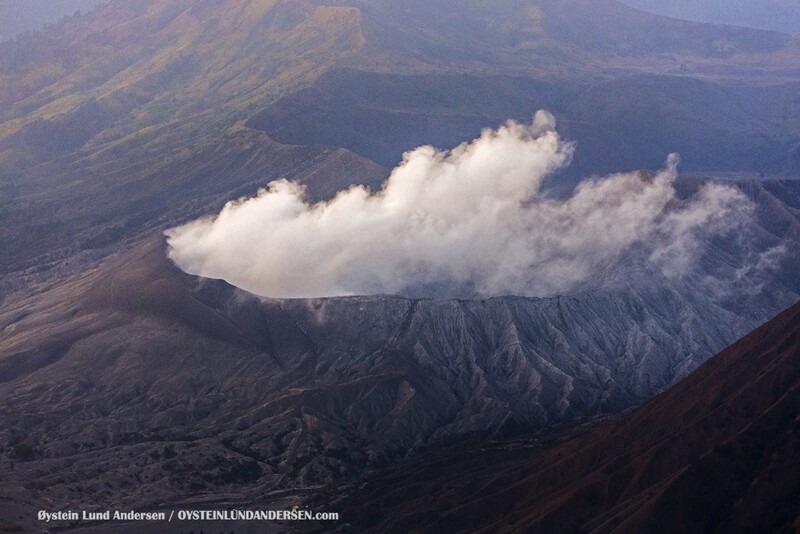 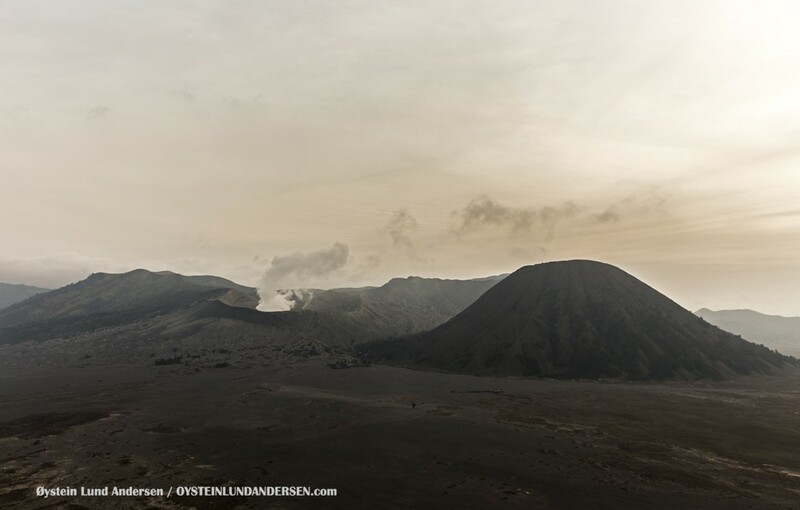 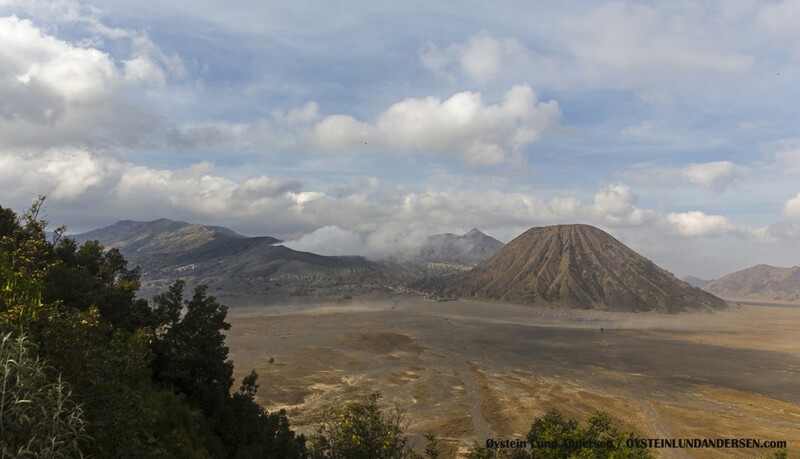 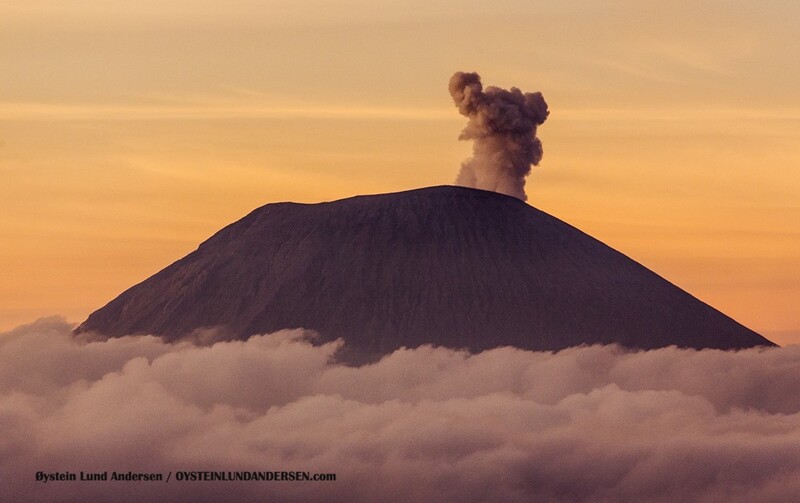 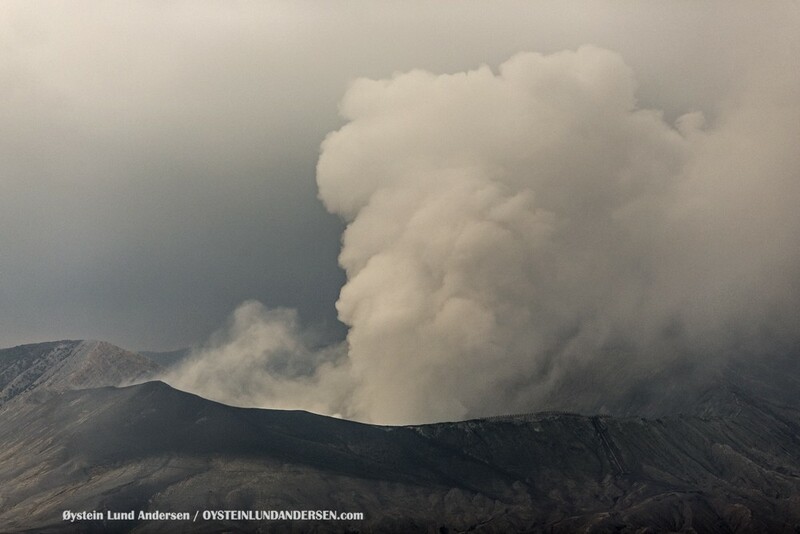 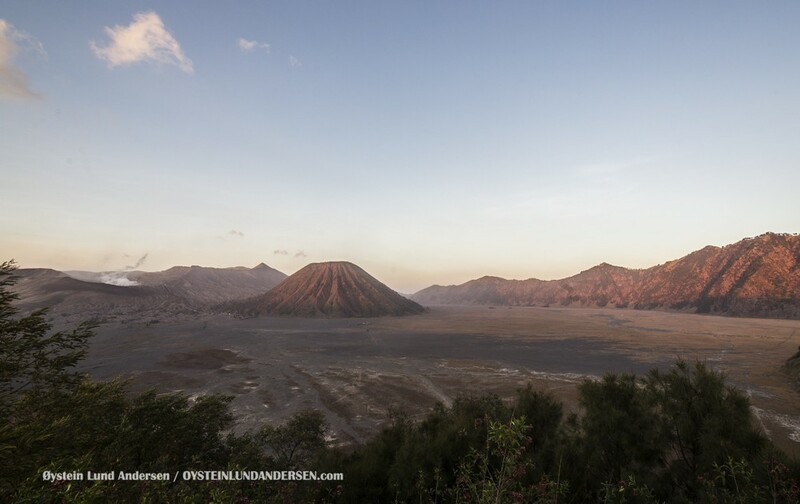 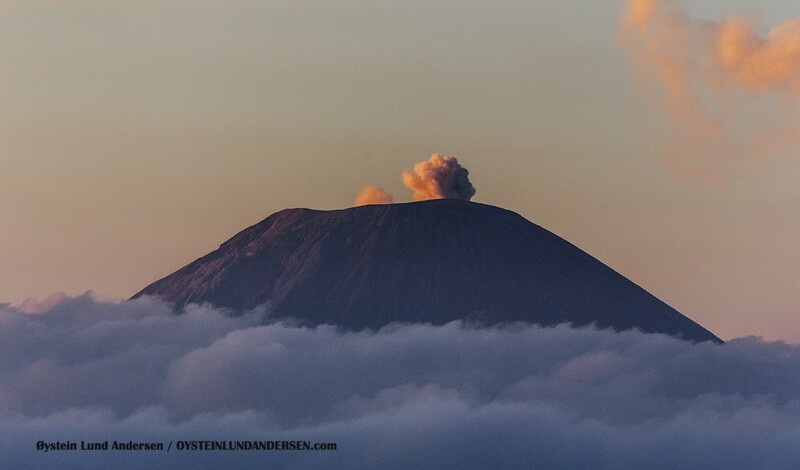 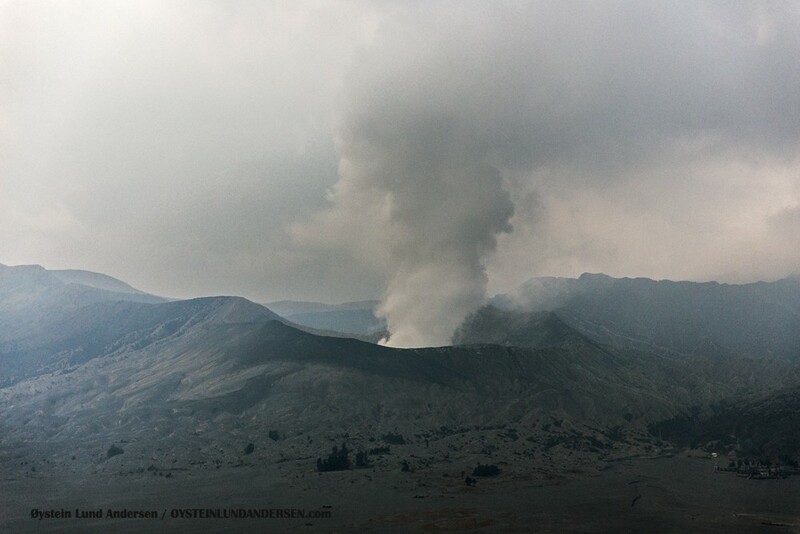 Activity in bromo has increased in 2015, compared to 2014. 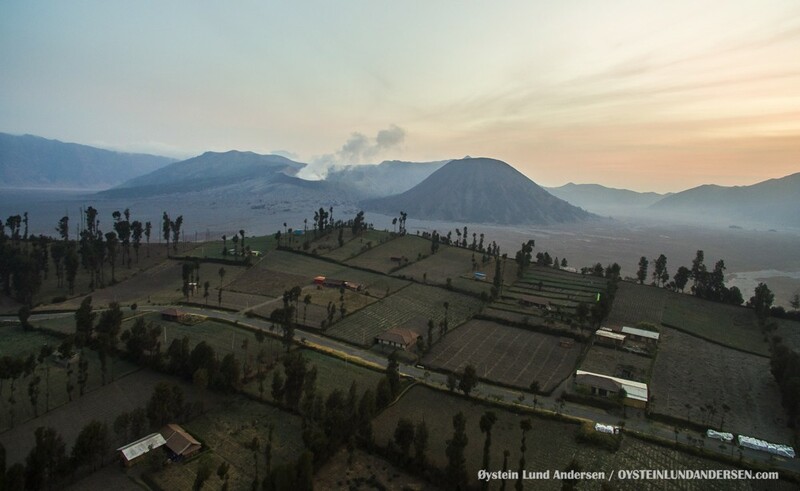 Gas emissions, especially sulphur outputs have increased in 2015. 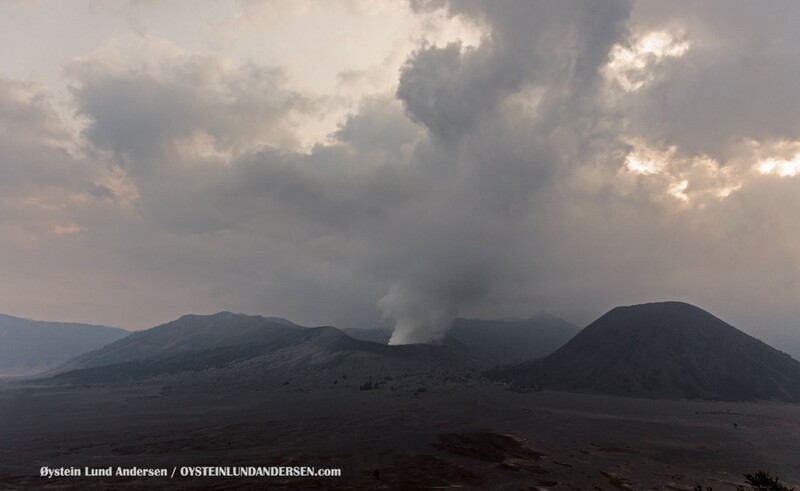 A constant rumbling sound could be heard during my visit to the crater on the 19th October, caused by what seems to be, intense gas pressure. 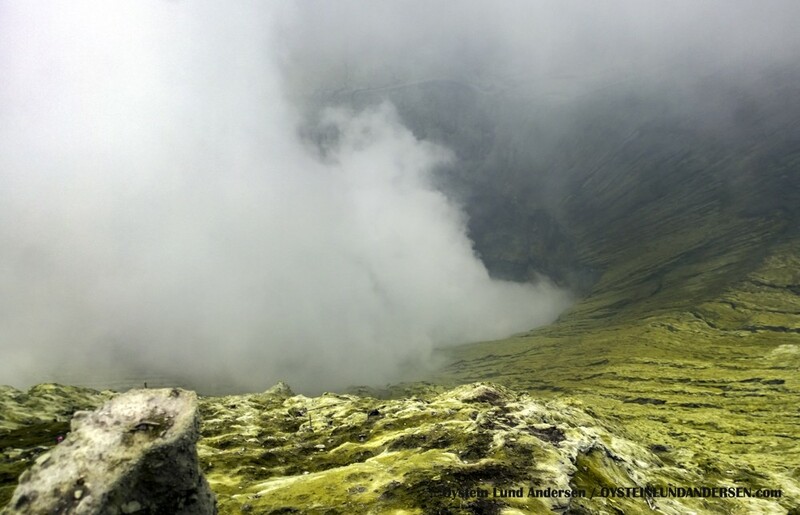 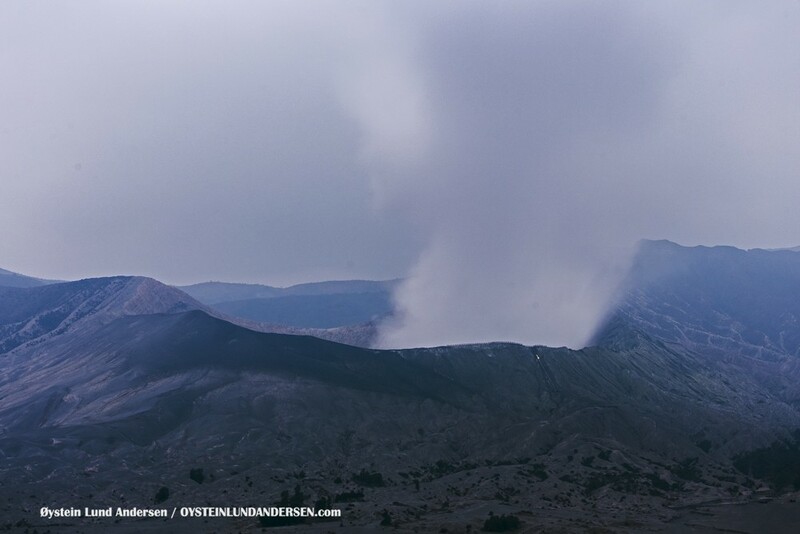 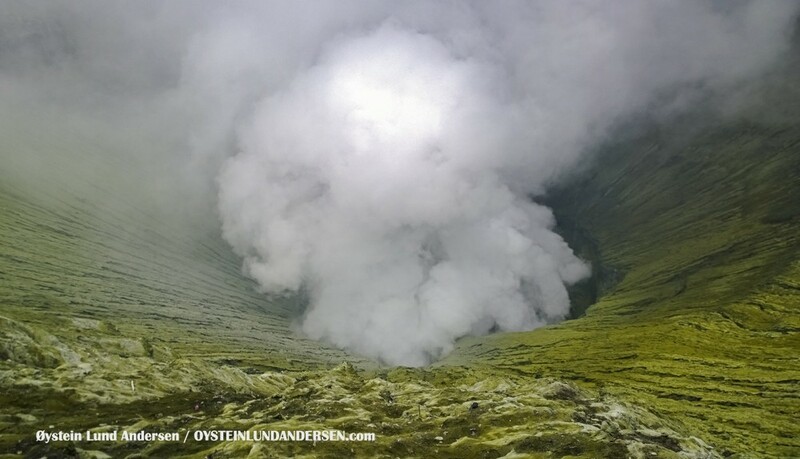 The result of a increase of sulphur emissions can clearly be seen in the crater area (see photos from 19th October), where the sulphur emissions have colored the volcanic soil with a coat of yellow/green. 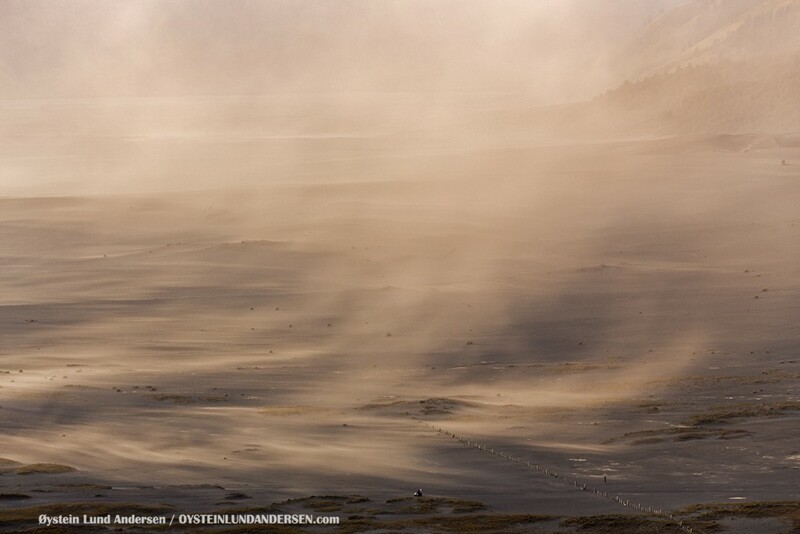 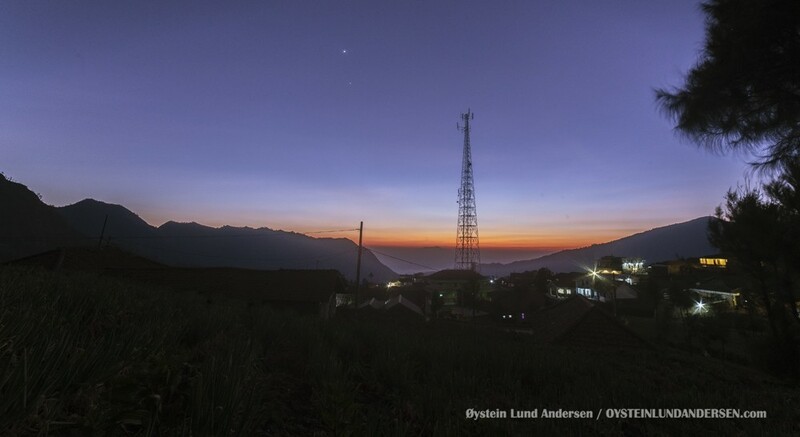 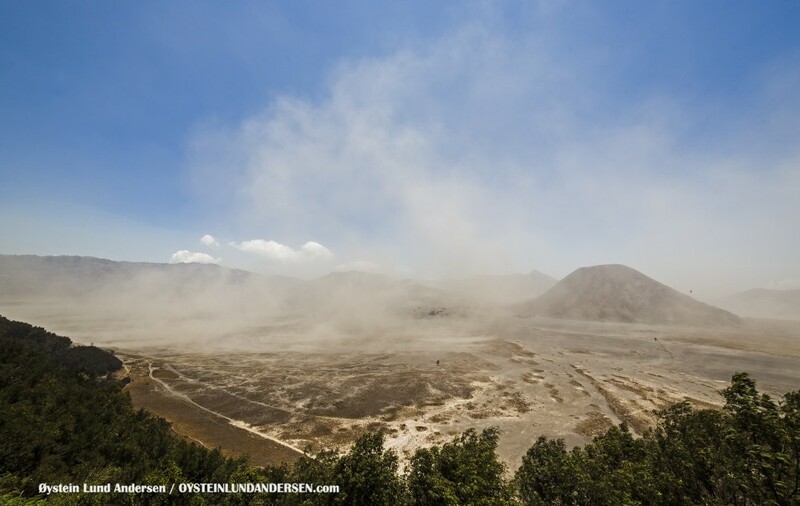 A strong smell of Sulphur is often noticable as far as the village of Cemara Lowang and downwind in the villages East of the Tengger Caldera.